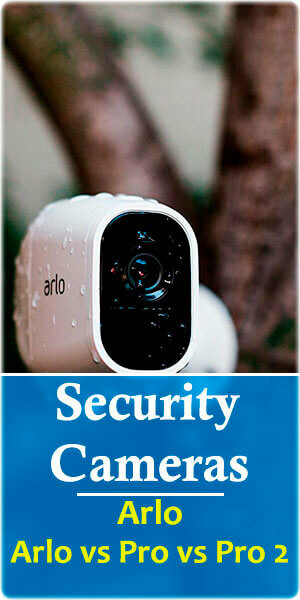 Home » How To Buy the Best Security Camera: Buying Guide » Arlo vs Arlo Pro vs Arlo Pro 2: What’s the Difference? Camera Capabilities. There are more similarities than differences between Arlo vs Arlo Pro vs Arlo Pro 2 as far as camera capabilities are concerned. Let us start with the resolution of each of these three generations of Arlo cameras. When you compare their resolutions, you will find that the Pro 2 camera has got the highest resolution of the three with a 1080p resolution. The resolution of the first generation Arlo camera and the first Pro camera is the same: 720p. Another area in which you will find differences is in their capability to record both audio and motion. That capability is featured on the Pro and Pro 2 versions but absent on the first generation camera. When it comes to camera angles, the newer cameras monitor events using the same 130 degrees angle while the Arlo cam is only capable of viewing 110 degrees of the view in front of it. Also, sirens are present on the former two but absent on the latter camera. Performance and Durability. Whether you are getting the first gen Arlo or any of the Pro cameras, you will discover that the device is quite easy to set up and should be ready to go within minutes. You can always consult the manual that comes in the package. It contains pretty straightforward information almost anyone can follow. All three cameras are capable of functioning in the dark due to the integration of night vision technology in the respective cameras. They are also equally capable of recording through inclement weather as the design is weather-resistant. Additionally, all three come with a Smartphone app through which you can view up to 7 days of cloud storage footage for free. You get alerts through the mobile app as well as the option to respond as quickly as possible. The major differences in performance come in the video recording department. The Arlo only records snippets of motion or activity at a time. The Pro and Pro2 will perform live streaming continuously as long as you have subscribed to the service. Lastly, these two cams come with geofencing technology while the Arlo does not. Design. When you compare the design of Arlo Pro 2 vs Arlo Pro, you will discover that there is very little separating the two. They both have essentially the same box shape and the same white color. That color extends to the rim around the lens compartment on Pro 2 but transitions into a black rim on the Pro. On the first generation Arlo, however, the white color transition into a silver-colored rim surrounding the lens compartment. While the newer Pro cameras come with a base station, the Arlo is not packaged with one. 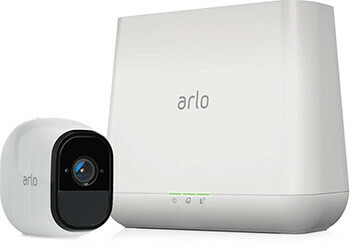 Another difference between Arlo vs Pro model is that while the former is fitted with rechargeable batteries the latter and the Pro 2 can both be charged by connecting to a power source or utilizing a solar panel. Beyond that, Pro and Pro 2 both have the USB drive option for local storage while the Arlo does not come with that capability. Activity zones is a very popular feature on Pro 2, which is absent on the other two cameras. Accessories and Price. An outdoor mount, a charging station, a rechargeable battery, and extra skins are included with the both Pro cameras but not with the first gen Arlo. The Pro2 comes with an additional outdoor mount, table and ceiling mount, and a magnetic wall mount. Aside from that, as earlier alluded to, the two pro cams come with a base station while their forerunner does not. What about price comparison? These security cams also differ in that regard. Unsurprisingly, Arlo Pro2 is the most expensive of the three. It is sold for under $500. All three smart devices are compatible with Alexa voice control and utilize push-to-talk notification. They are also compatible with Wink hub so you can monitor your connected smart devices. You could use Wink to observe a delay in response time as well. 7 days of free cloud storage. Smartphone alerts via an app. No local storage via USB. More than three seconds lag time. Side to side sensitivity with outdoor mount. 130 degrees motion detection range. Misses some details when it goes to sleep. Short battery life of approximately three months. These wire-free Arlo cameras are some of the best indoor smart cams on the market. Be that as it may, they can be used both inside and outside. That is the major reason they are designed to be weatherproof. While all three of them are alike in many respects, they are also different in many ways. If you are looking to choose a wireless cam from these three you should know them. Here are some of the differences we mentioned in this review. When it comes to resolution the first gen Arlo and the Pro have resolutions inferior to the 1080p camera on Pro2. While all three are equipped with night vision technology covering a distance of up to 25 feet, only the Pro2 has Activity Zones enabled for better motion detection and fewer false alarms. When it comes to sensitivity level, the Pro 2 model is also the most sensitive of the three cameras with only just a three-second time lag for recording motion and activity. Additionally, only the Pro 2 is capable of continuous 24/7 live streaming. All these differences combined with the presence of two-way audio, email notification, and indoor/outdoor usage makes the Pro 2 the best quality product. If you decide to buy this camera you would have to take the price differences into consideration as well. 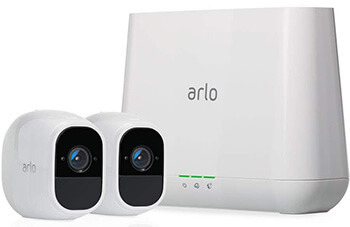 It is the most expensive if you compare Arlo Pro 2 versus the Pro and versus Arlo. It’s worth it too. You can check out the device’s rating on reputable vendor websites and get a great deal.